Apple on Thursday kicked off its Mac media gathering by addressing the company’s play for the living room, Apple TV. Due to Apple’s inability to disrupt the broadcasting industry the way it had with music, Apple TV has lingered in limbo for years as the rest of the industry eventually warmed up to the idea of unbundling channels and distributing them over the Internet. The transition also gave companies like Amazon, Hulu and Netflix time to establish themselves as serious alternatives to traditional pay-TV. The TV app is essentially an aggregator for video streaming apps that makes watching content across multiple devices as seamless as possible. Apple described it as offering a unified TV experience for Apple TV, iPhone and iPad that lets you start a show on one device and pick it up on another. It also serves as a universal TV guide which should make it easier to find something new to watch once you exhaust your backlog of binge-worthy shows. This is accomplished via a handful of major categories – Watch Now, Up Next, Recommended, Library and Store. Curiously enough, it doesn't appear that Amazon and Netflix are supported, omissions that certainly won't fly with everyone. Those hoping for new Apple TV hardware or an announcement regarding the long-rumored over-the-top streaming television service will be sorely disappointed as neither topic was touched on during today’s event. 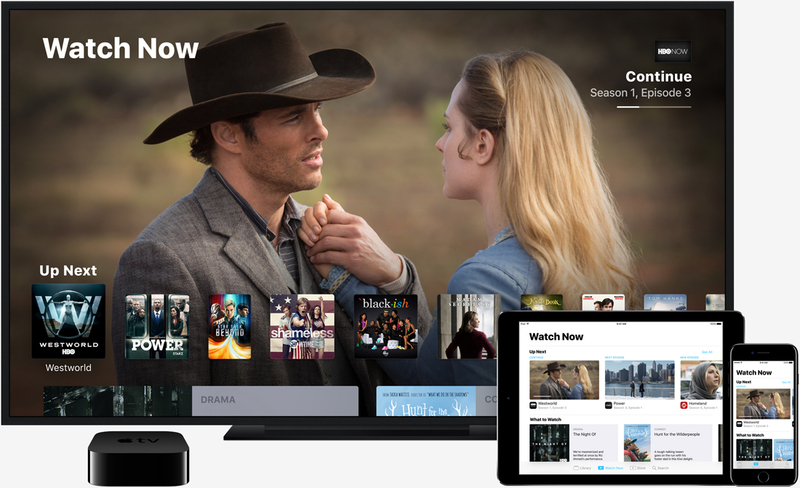 Apple says its new TV app should arrive in December.